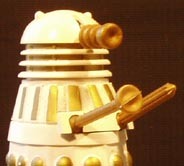 Above, the original 'Remembrance' style Dalek, right, the modified limbs now with ball joints and a refined eye stalk and gun. 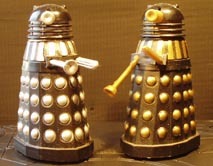 The Daleks were something of a success. 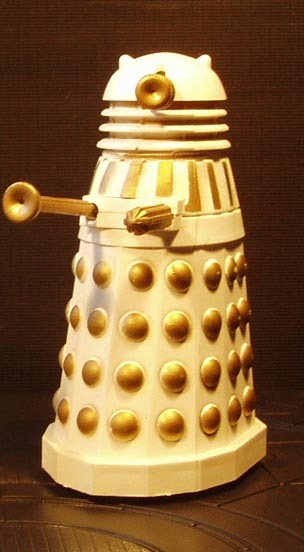 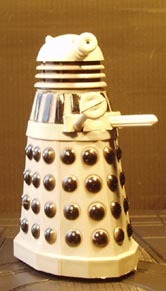 Perhaps the only figure that was released on time, just as they were returning to our screens in Remembrance of the Daleks, Dapol put out three versions of the figure- a white/ gold livery, black and silver and bizarrely, black and gold- a style never seen on TV and that oddly would be repeated years later in the Dalek Battlepack. 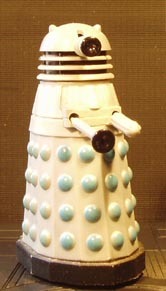 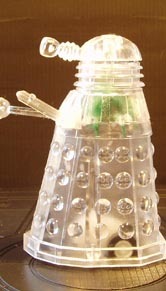 Like all Dapol figures, the Dalek isn’t perfect though they were able to modify it as time went by. 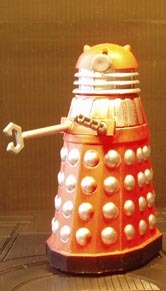 Ball joints were introduced and the arms and eyestalk slimmed down and make more realistic, less clunky. 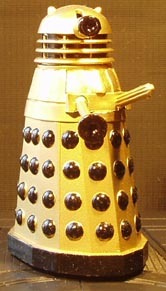 In the Dalek, Dapol had a successful figure that they could reissue time and again in different colours. 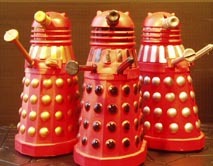 And boy did they! 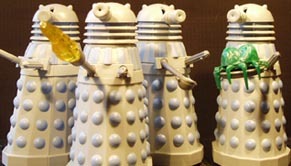 They were really milking it by the time the ‘Millennium Daleks’ came out in various spangly colours. 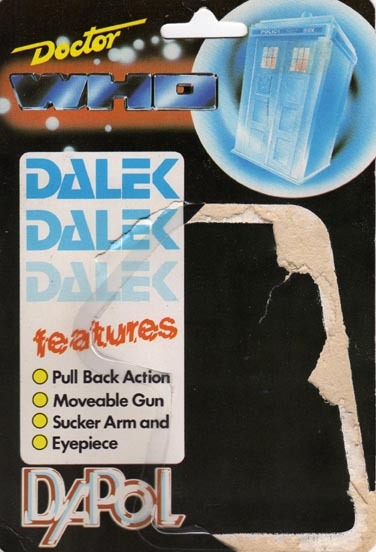 But just before the scales were tipped, they produced some really nice variants including the Movie Dalek (with claw arm) a set of ‘Early Daleks’ with different: arms: a flame thrower, preceptor and another holding a Dalek Mutant, and a ‘transmat’ Dalek- transparent with the Dalek Mutant clearly visible inside. 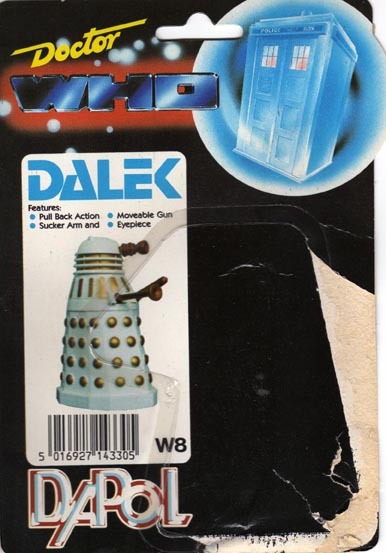 There were other Dalek variants including some that were exclusive to the various box sets that were released.